The flagship of the SNMG-2 HMNLS Eversten in Istanbul. 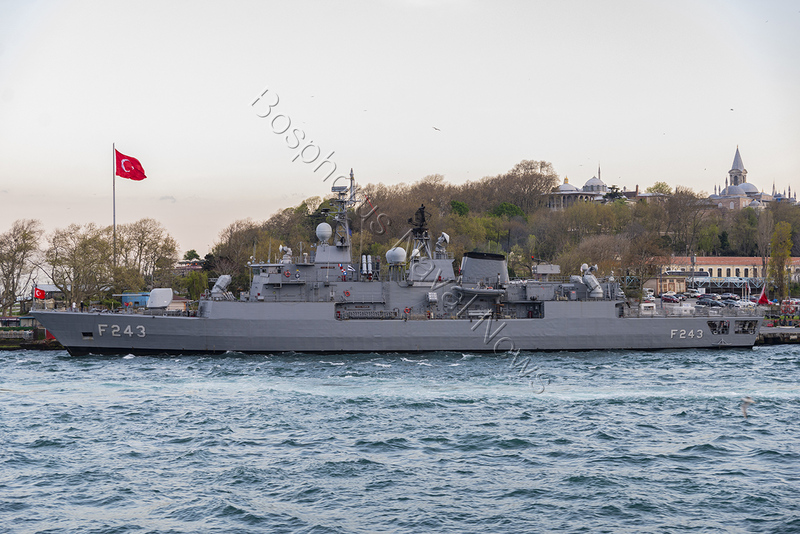 Turkish contribution to SNMG-2, TCG Yıldırım in Istanbul after sailing the Black Sea for 21 days. 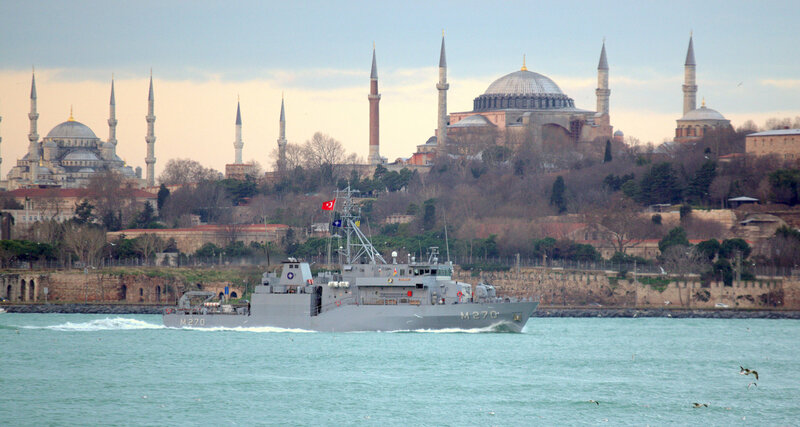 On 29 March four ships of NATO Standing Maritime Force 2 transited northbound through Turkish Straits and entered the Black Sea. This was the start of the task force’s first Black Sea deployment in 2019. 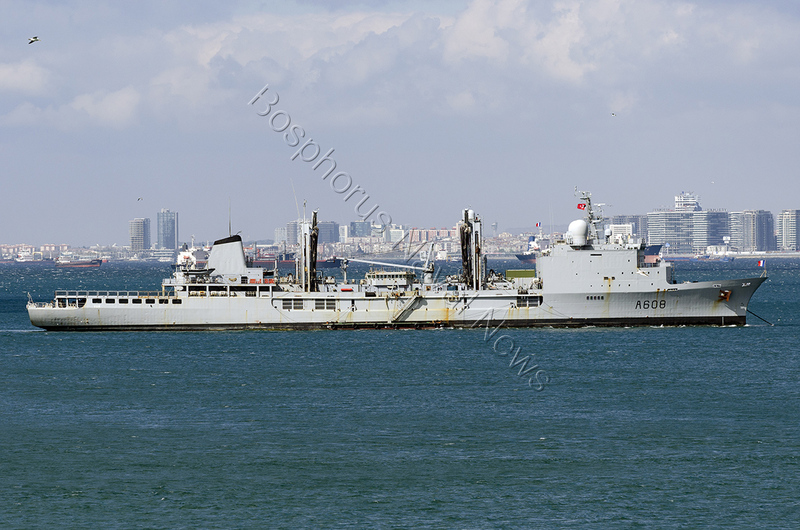 The French National Marine contribution to the SNMG-2 FS Var also arrived in Istanbul but she did not proceed to the Black Sea with the rest of the group. She remained in the city for a 4-day port visit and later returned to France as her deployment with the task force was over. Once in the Black Sea Bulgarian frigate, Drazki and Romanian frigate Regele Ferdinand joined the task force before SNMG-2 split in two. The Canadian frigate HMCS Toronto and the Spanish frigate ESPS Santa Maria sailed to Odessa, Ukraine. According to NATO press release, while in Odesa, the ship captains meet with local military and elected officials, worked with Ukrainian Navy personnel and welcomed local Ukrainian civilians aboard during scheduled open ship periods. The Canadian and Spanish frigates conducted PASSEX with Ukrainian Matka class (Project 206 MP) corvette Priluki. This exercise was dutifully observed by the Russian intelligence-gathering ship Ivan Khurs. 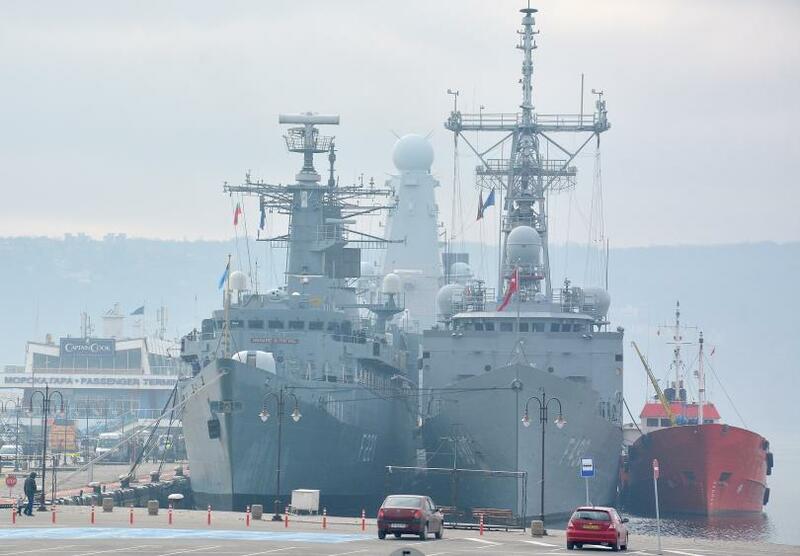 Turkish town Trabzon was the first stop for the remaining four ships of the task force namely HMNLS Eversten the flagship, TCG Yıldırım, BGS Drazki, and ROS Regele Ferdinand. Following a short 3-day visit, they have sailed to Poti Georgia. Like in Ukraine, following the visit to Poti, SNMG-2 ships conducted a Passing Exercise with the Georgian Coast Guard vessels. The task force joined in Romanian port Constanta prior to the start of the largest multinational naval exercise in Romania’s territorial waters and in the international waters of the Black Sea: Sea Shield 2019. The Spanish frigate left the taskforce and exited the Black Sea before the task force’s arrival in Romania. In addition to the ships of SNMG-2, the Greek fast attack craft HS Ritsos, Bulgarian corvette BGS Bodri, and Romanian frigate ROS Marasesti, corvettes ROS Contraamiral Macellariu, ROS Contraamiral Horia Macellariu, missile-carrying fast attack craft ROS Pescarusul, ROS Zborul, minesweepers ROS Lieutenant Lupu Dinescu, ROS Lieutenant Dimitrie Nicolescu also took part, along with Romanian detachment of EOD divers, two mobile anti-ship missile launchers and other support units. According to the Romanian Defence Ministry approximately 2,200 troops, took part in the exercise who practiced against underwater, surface and air threats, adapted to the typology of security threats in the Black Sea region. The scenario of the exercise was fictional and aimed planning and execution of crisis response operations under the mandate of Security Council resolutions of the United Nations (UNSC), in the context of a security environment characterized by symmetrical and asymmetrical threats. 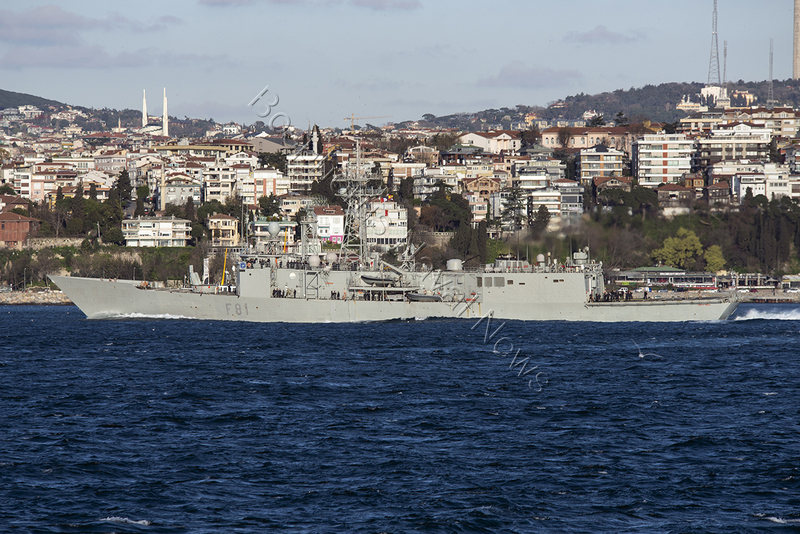 SNMG-2 exited the Black Sea on 17th April and arrived in Istanbul for a well-deserved port visit. 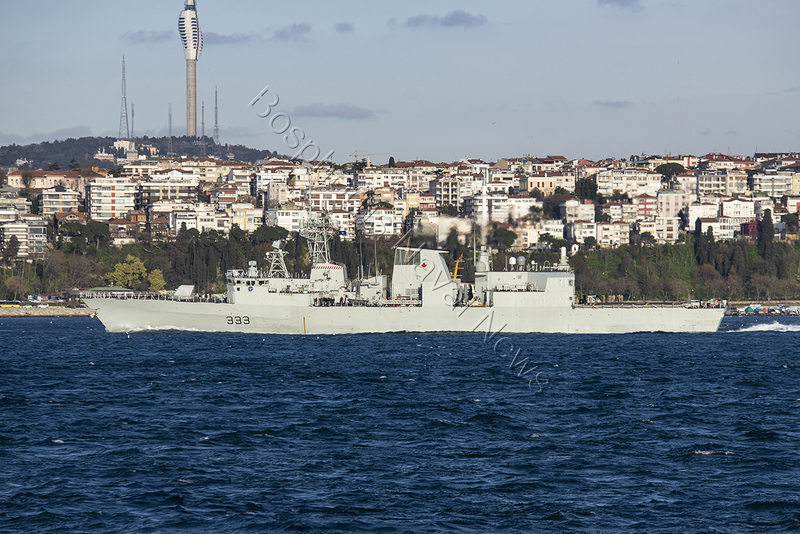 HMNLS Eversten and TCG Yıldırım berthed while HMCS Toronto sailed to the Mediterranean without stopping in the city. French replenishment tanker FS Var. She arrived in Istanbul with the rest of the task force but did not enter the Black Sea. Canadian frigate HMCS Toronto. This photo was taken when she was passing through Istanbul. She spent 21 days in the Black Sea and left it sailing directly to the Mediterranean. 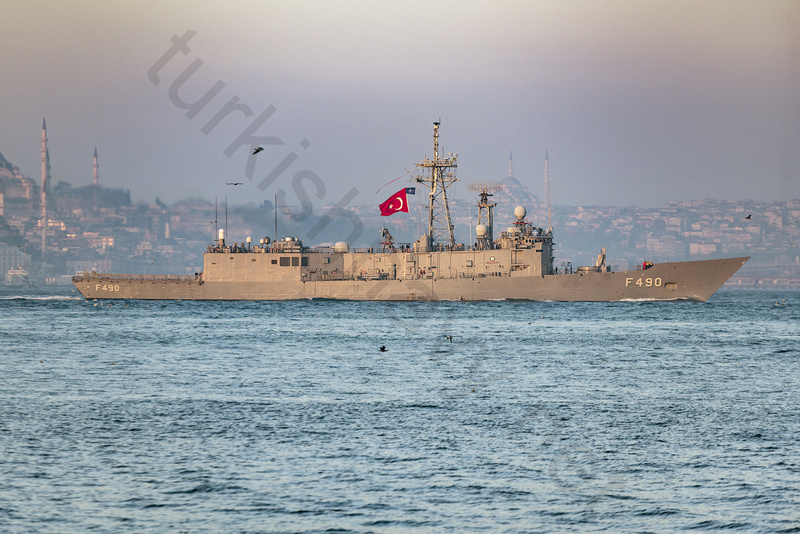 This is Spanish frigate ESPS Santa Maria passing northbound through Istanbul. She stayed only 7 days in the Black Sea before exiting it while the rest took part in the Sea Shield naval exercise. The participating warships and submarine in one photo. Original photo: Turkish Ministry of Defence, improvements by me. NATO’s Submarine Warfare Exercise Dynamic Manta 2019 kicked off yesterday, off the Sicilian coast, with ships, submarines, aircraft and personnel from 10 Allied nations. According to NATO press release submarines surface units and ASW planes and helicopters from Canada, France, Germany, Greece, Italy, Netherlands, Spain, Turkey, United Kingdom, and USA, under the control of Commander, Submarines NATO (COMSUBNATO) taking part in the annual exercise. Altogether 4 submarines, 9 ships, and ASW planes and helicopters will try to hone their skill in anti-submarine warfare. The aim of this exercise is to provide all participants with complex and challenging warfare training to enhance their interoperability and proficiency in anti-submarine and anti-surface warfare skills, with due regard for safety. 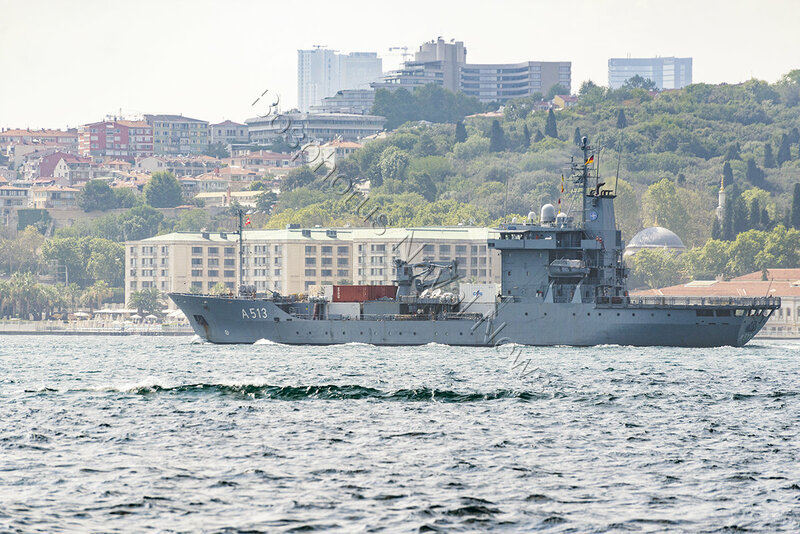 TCG Gediz as part of SNMG-1 takes part in the Dynamic Mongoose ASW exercise. During the exercise, she has crossed the Arctic Circle. Main photo: FRA N WO Christian Valverde, insert Turkish General Staff. Gabya class frigate TCG Gediz is hunting for submarines at the top of the world. 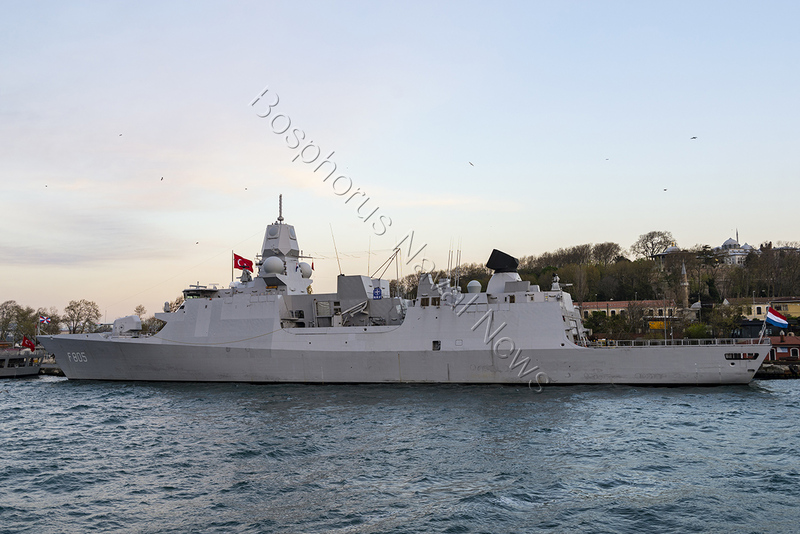 As Turkish contribution to the Standing NATO Maritime Group One TCG Gediz takes part in anti submarine warfare exercise Dynamic Mongoose 2018. According to the Turkish General Staff, the frigate has crossed the Arctic Circle on 29th June. Submarines from Norway under operational control of NATO Submarine Command (COMSUBNATO), will join 7 surface ships from Denmark, Netherlands, Poland, Spain and Turkey under the command of Standing NATO Maritime Group One (SNMG1) Commodore Søren Thinggaard LARSEN. To support the simulated multi-threat environment, Maritime Patrol Aircraft (MPA’s) from Germany, Norway, and the United States will operate from Andoya Air Base under the operational command of NATO Maritime Air Command (COMMARAIR). 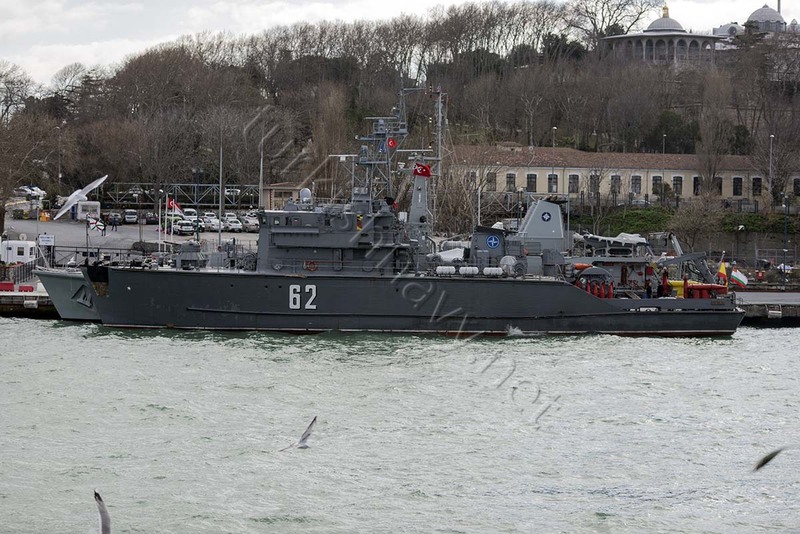 In March 2018 Turkish warship TCG Gaziantep took part in the southern ASW exercise Dynamic Manta held in Italy. TCG Gaziantep takes part in Dynamic Manta 2018. 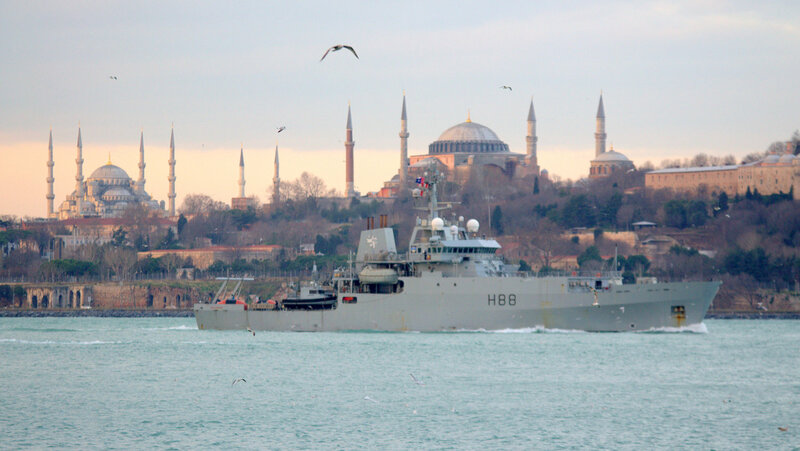 Here is a photo of her from February 2018 as she was passing through Istanbul with SNMG-2. NATO’s Submarine Warfare Exercise Dynamic Manta 2018 kicks off tomorrow, off the Sicilian coast, with ships, submarines, aircraft and personnel from 10 Allied nations. 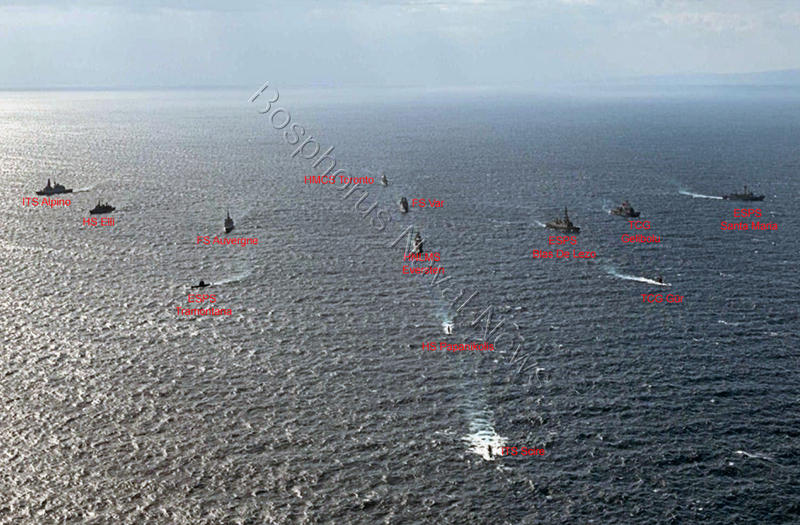 According to NATO press release submarines surface units and ASW planes and helicopters from Belgium, Canada, France, Germany, Greece, Italy, Spain, Turkey, the UK and the United States, under the control of Commander, Submarines NATO (COMSUBNATO) taking part in the annual exercise. Altogether 6 submarines, 9 ships, 10 ASW planes and 10 helicopters will try to hone their skill in anti-submarine warfare. Click here for reports on previous Noble Manta exercises. 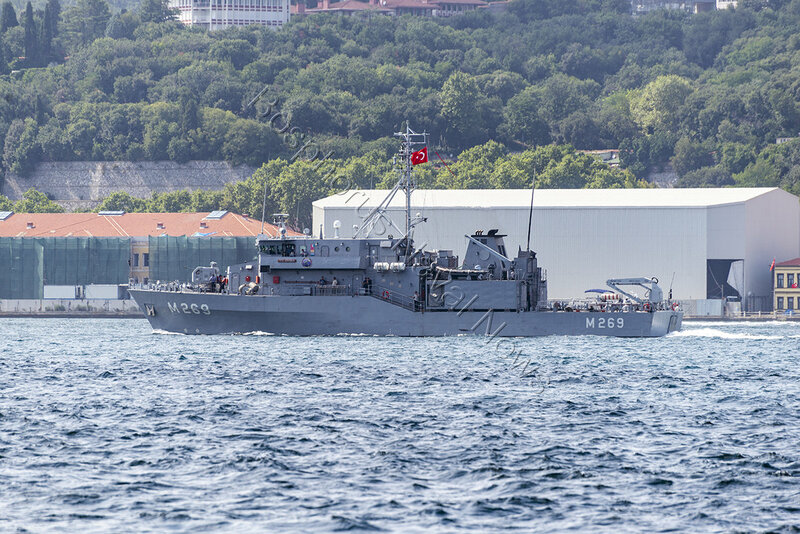 M-270 TCG Akçay the Turkish contribution to SNMCMG-2, passing through Istanbul. The UK led NATO mine warfare task force Standing NATO Mine Countermeasures Group 2 made a northbound passage through Turkish Straits last week and arrived in Sinop, Turkey on 25th January for a 4-day port visit. 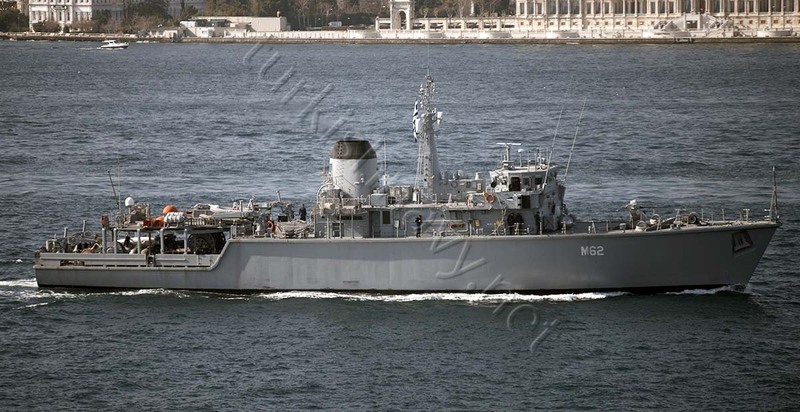 The SNMCMG-2 is Romanian minesweeper ROS Lupu Dinescu, Turkish mine hunter M-270 TCG Akçay and H-88 HMS Enterprise the flagship of the task force. M-62 HS Evropi takes part in naval mine warfare exercise Nusret 2017. This is a photo of her from her Black Sea deployment in 2016. Each year Turkish Navy organizes a mine warfare exercise named after the famous minelayer Nusret. 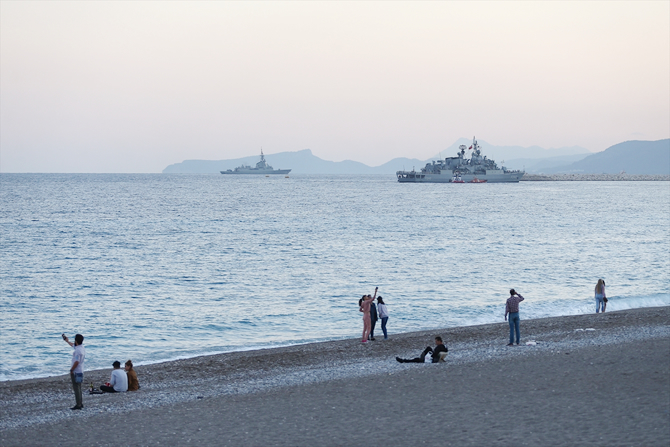 In even years the exercise is held in İzmir Bay and in odd years it is held in Çanakkale and Saros Bay. This year the exercise will be held between 25 November and 3 December 2017 in Saros Bay. The aim of the exercise is to provide training for the planning and execution of mine warfare and to improve the interoperability in mine warfare, between warships from participant countries. Turkish Armed Forces will take part with 6 mine hunters, one minelayer/command ship, one frigate, one patrol boat, one mine retriever, one Coast Guard vessels, one naval EOD team, one helicopter, 2 F-16C fighters and one C-130 cargo plane. For the first time, a Turkish autonomous underwater vehicle and its crew are listed among participants. Bulgaria participates in one mine warfare ship. Greece and Qatar will each deploy one EOD team. Bulgarian minesweeper Shakval is one of the ship visiting Batumi. This photo was taken in February 2016 during her visit with SNMCMG-2 in Istanbul. A part of the UK led NATO mine warfare task force Standing NATO Mine Countermeasures Group 2 arrived in Batumi Georgia on 3rd November for a port visit. The NATO delegation led by Vice Admiral Bléjean, the Deputy Commander of the Allied Maritime Command (MARCOM) held meeting with Minister of Internal Affairs of Georgia, Mr. Giorgi Mgebrishvili. According to official statements, the sides discussed issues of bilateral relations between NATO and Georgia in the maritime field and cooperation enhancement matters. Special emphasis was made on the participation of the Georgian Joint Maritime Operations Center (JMOC) in NATO-led operation – “Sea Guardian” which is aimed at ensuring safety in the Mediterranean Sea and nearby maritime space. Since Georgia does not operate warships with enough range and endurance to actually deploy to Operation Sea Guardian, the participation of the Georgian JMOC is the only possible way for this country. The SNMCMG-2 is spilled in two parts. One part, consisting of frigate ROS Regele Ferdinand, mine hunter ROS Lupu Dinescu from Romania, minesweeper BGS Shakval from Bulgaria and mine hunter TCG Edremit from Turkey is visiting Batumi. The second part, consisting of HMS Enterprise, HMS Pembroke, and ITS Crotone is in Piraeus Greece. According to Turkish General Staff website Spanish frigate SPS Blas De Lezo, along with Turkish frigates TCG Fatih, TCG Gaziantep and TCG Barbaros, are conducting an electronic warfare exercise off the coast of Antalya. although not mentioned in the statement the Bulgarian frigate Drazki was also observed in the region. Both SPS Blas De Lezo and TCG Barbaros are part of NATO SNMG-2 naval task force and this EW exercise is performed in cooperation with NATO Electronic Warfare trials. The exercise will end on 4th November.